Okay, after the creepy Easter Egg chick craft fail I shared earlier this week I needed to redeem myself by crafting something cute to decorate for Easter. 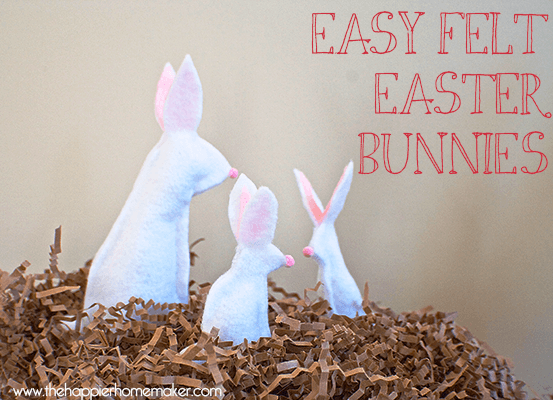 I created these adorable little felt bunnies in less than fifteen minutes and I think they’d be so cute in a tablescape or place setting or even an Easter mantle! I folded my white felt in half and cut the rabbit shape free-hand, I also eyeballed cutting the pin for the ears to make it a bit smaller than the white ear part. 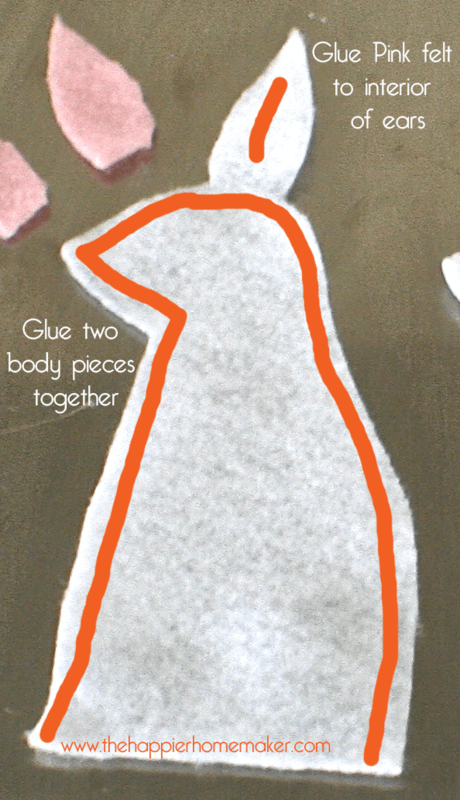 Once the pieces were cut out I fired up my glue gun and glued the two rabbit pieces together leaving the ears separate and the bottom open. Once the body is together add the pink to the interior of the ears then finish it off with a pink mini-pom nose and a white pom pom tail! At this point the bunnies made great finger puppets for my boys, but after we were done playing I wanted to use them for decor so I just stuffed a little polyfill into the bottom to give them some bulk and help them stand up! Aren’t they adorable? Where would you put yours? Now, who could have have called your little chicks creepy? These on the other hand, are totally adorable! Love how quick they are too! This might be another one for us to try today!